This is an old project of mine that, unfortunately, didn't get finished. It's about 80% done. It started as a simple proof of concept for somebody that asked for a way to list the contents of a directory with PHP and AJAX. It had no design initially. Working on it made me think: How far can I go? I knew that I could list the names of the files and create a way to link them together through a custom API and AJAX, but I was interested if I could actually develop a fully featured web-based file navigator and editor. 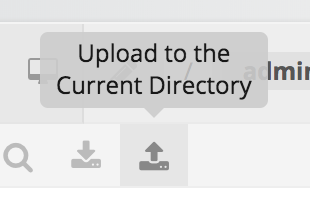 A clickable breadcrumb module (Preview) - Clicking on any of the locations takes you to the location. 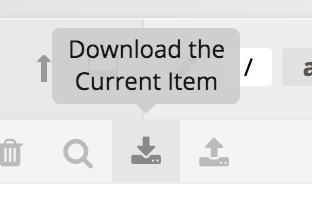 It's also directly editable (Preview). This feature turned out to be a challenge, to search and display files based on the matched criteria, or parts of the match criteria. E.g. : If one wants to search for the terms "php is awesome", it will search for "php is awesome" first, then for "php" or "awesome" next, then for files matching "p" and "h" and "p" in that order, then for files matching "a" and "w" and "e" and "s" and "o" and "m" and "e" in that order. An environment is the source of content tht you want to navigate through. It can be either a specific location on disk, or a FTP location. This allows to create roles for users to specify what environments they have access to and what actions (create files, edit files, delete, download, etc).